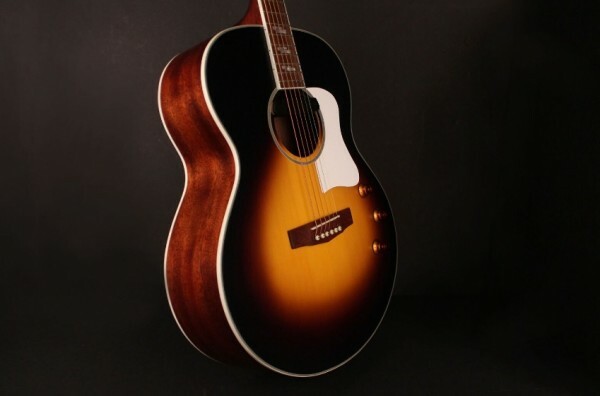 Harmony Central’s senior editor, multi-instrumentalist, and recording engineer/producer Phil O’Keefe, has conducted a very comprehensive review of Cort’s striking new jumbo-sized acoustic-electric CJ Retro. One of the most interesting new acoustic-electric models from Cort that can appeal to a wide range of players and musicians, the CJ Retro features a large jumbo body, Fishman Neo D magnetic acoustic pickup and VTB preamp, and cool retro-inspired appointments. 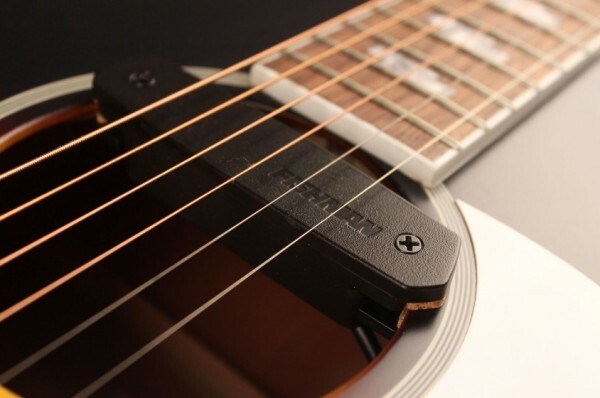 The Cort CJ Retro is an acoustic-electric guitar, and comes equipped with a Fishman Neo D magnetic acoustic pickup mounted across the soundhole, and Fishman VTB active preamp. The three controls for the Fishman VTB preamp are top-mounted. The three controls allow you to adjust the volume as well as treble and bass, and they come equipped with amber "top hat" style knobs. Check out the thorough review on Harmony Central. The CJ series includes CJ1F and CJ3V for those who prefer a solid top. 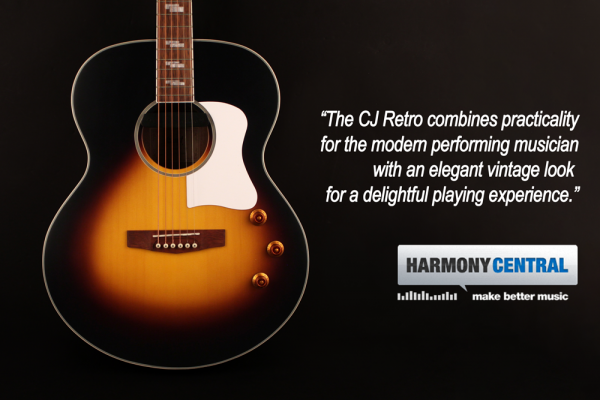 This being said, the CJ Retro is a very solid addition to the growing CJ lineup for players who prefer the look and sound of jumbo body acoustic guitars which have unique characteristics that set them apart from other more common body sizes.